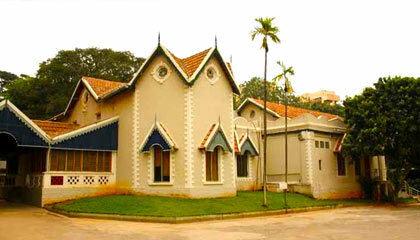 Woodlands Hotel is located close to Vidhana Soudha. Woodlands Hotel is a fine budget hotel that forwards excellent facilities and flawless services to the guests. Spread over 5 acres of meticulously landscaped land, the hotel comprises of a marvelous architecture. The hotel, with gracefully decorated interiors, is all set to give a memorable stay to its guests in a soothing ambiance. 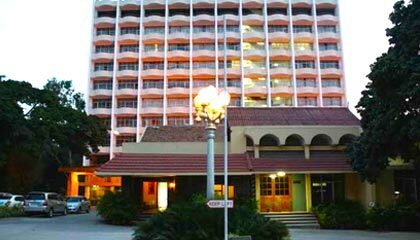 The hotel bestows well appointed accommodation coupled with contemporary amenities, superb dining and hospitable services. The team of the professional staff serves the guests whole-heartedly and takes every initiative to fulfill their requirements. In short terms, Woodlands Hotel is a perfect place to stay with utmost comfort at an irresistible tariff. The hotel features a choice of elegantly appointed accommodation units, classified into Economy Rooms, Standard Rooms, Deluxe Rooms, Executive Rooms, Special Rooms, Cottages and Special Suites. The rooms are equipped with modern facilities and services. Woodys: Enjoy delicious Chinese, Continental & Indian cuisine and snacks. French Connection: A chic bar offering a range of exotic drinks with light snacks. Sunheri: Serves scrumptious main course food.